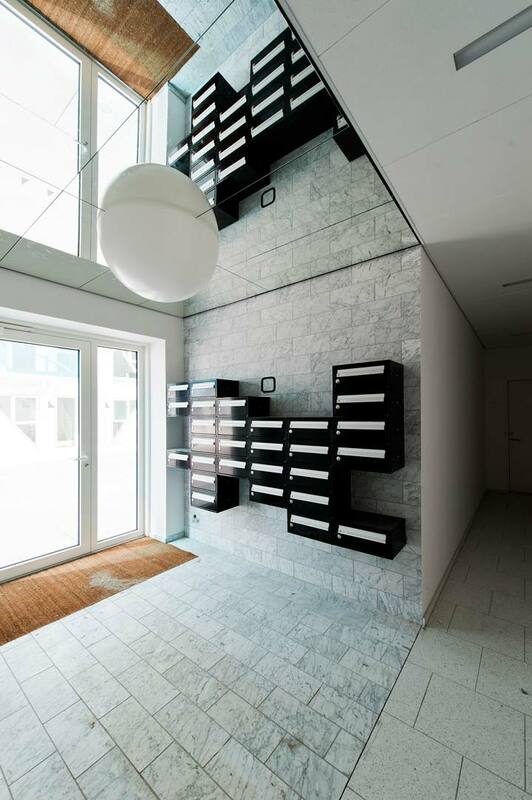 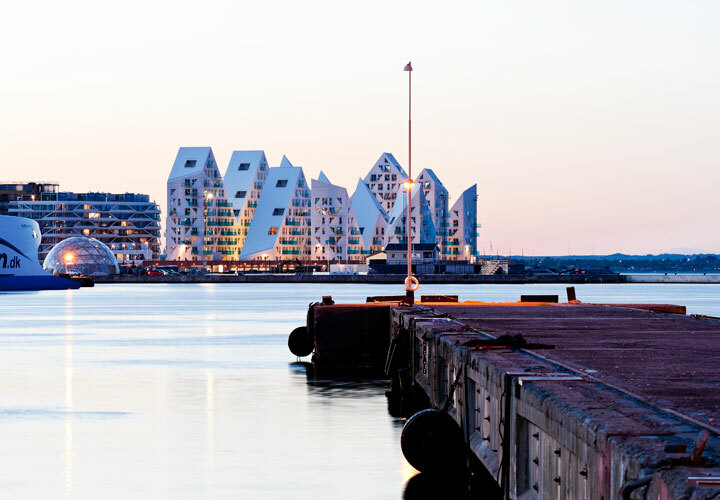 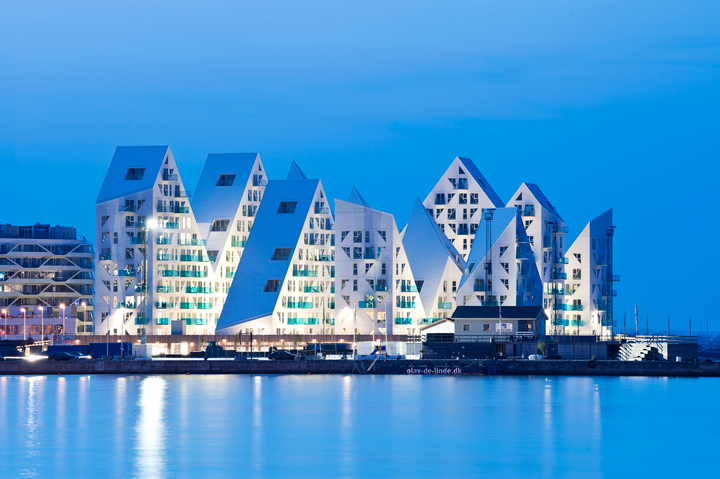 The Iceberg is located at a prime location on the outmost harbour front in Aarhus’ new quarter Aarhus Ø (Aarhus East) and consists of 208 apartments. 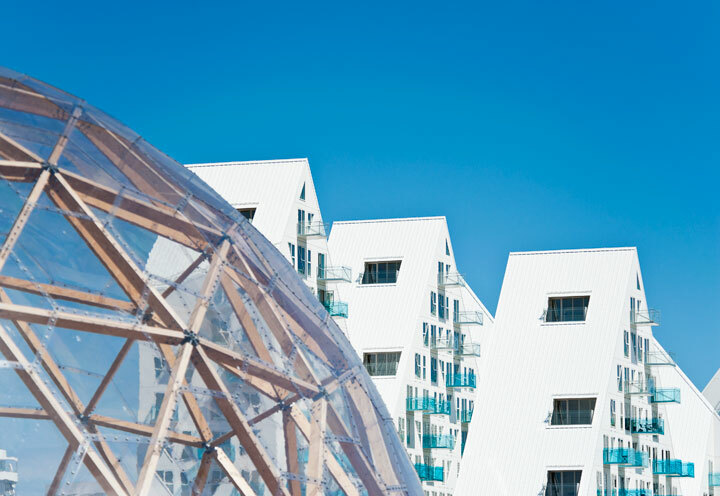 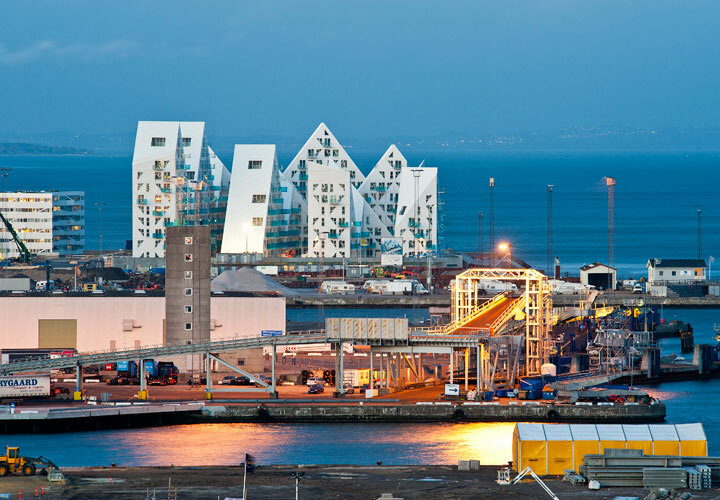 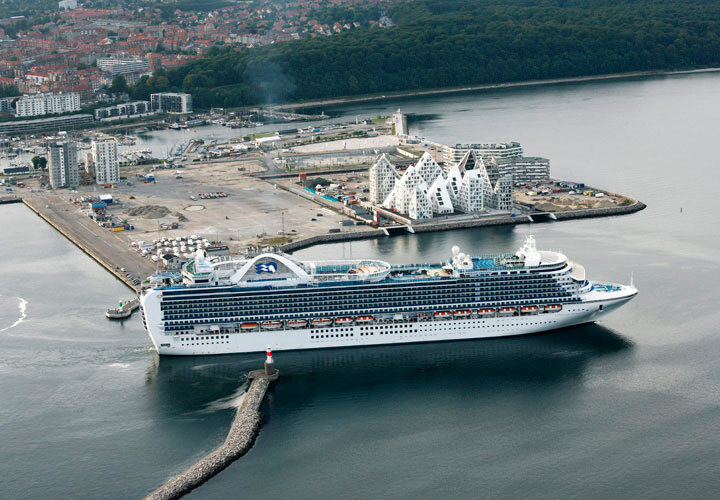 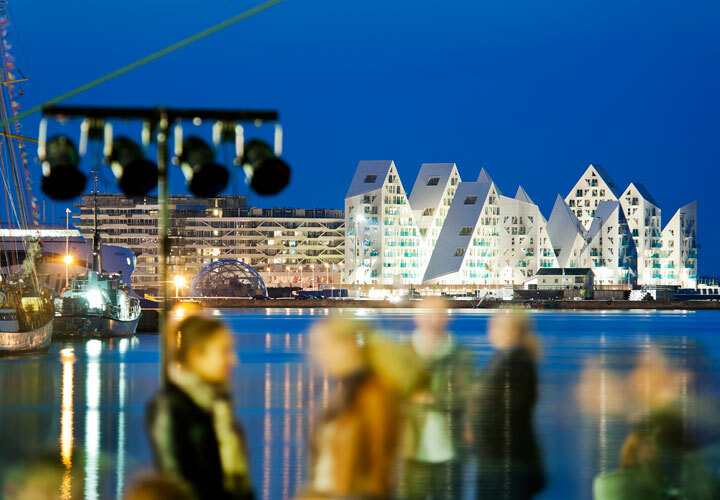 The Iceberg will contribute to transform the former container port of Aarhus into a vibrant new neighbourhood that on completion will be home to 7,000 inhabitants and provide 12,000 workplaces. 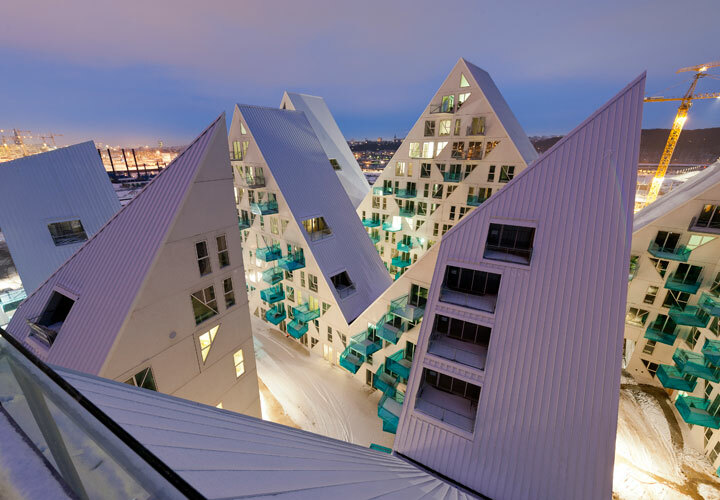 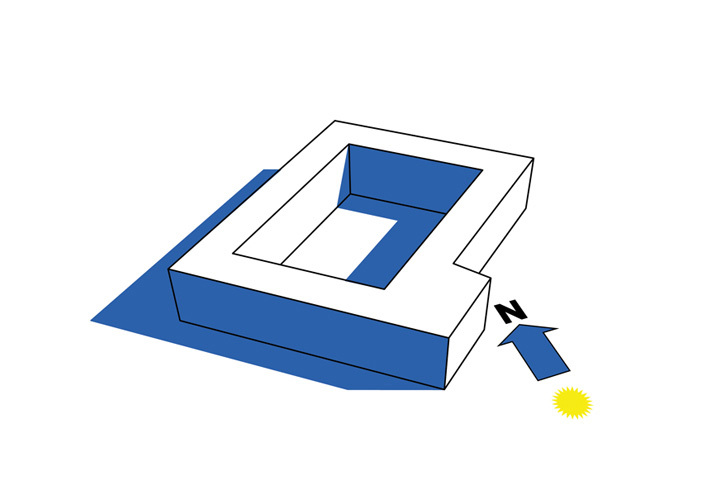 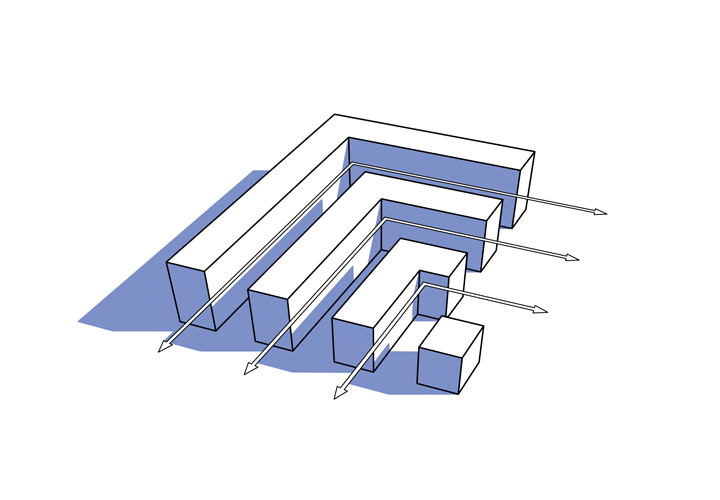 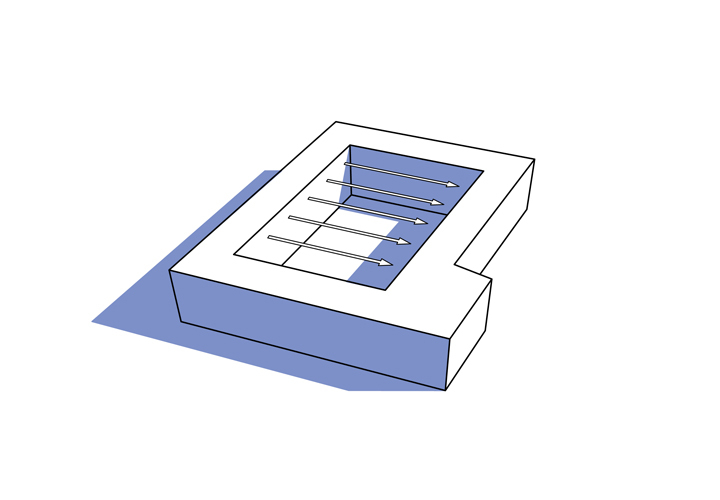 The Iceberg is laid out as four L-shaped wings, where the street spaces in between open towards the water. 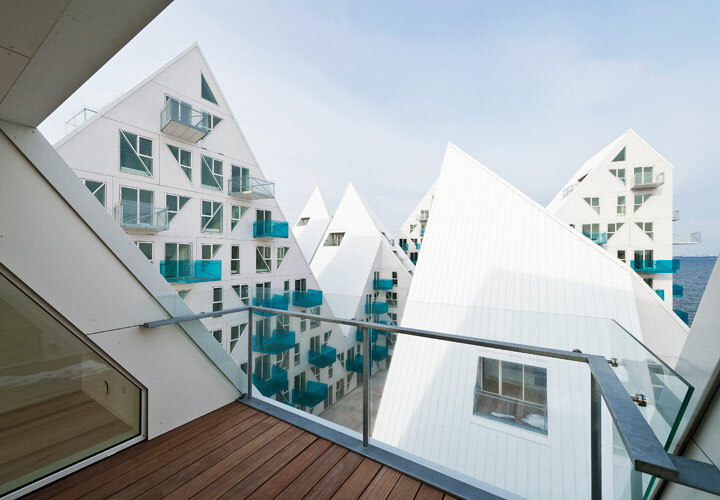 In order to obtain optimal daylight conditions and views over the bay for as many apartments as possible the building volume is cut up by jagged lines. 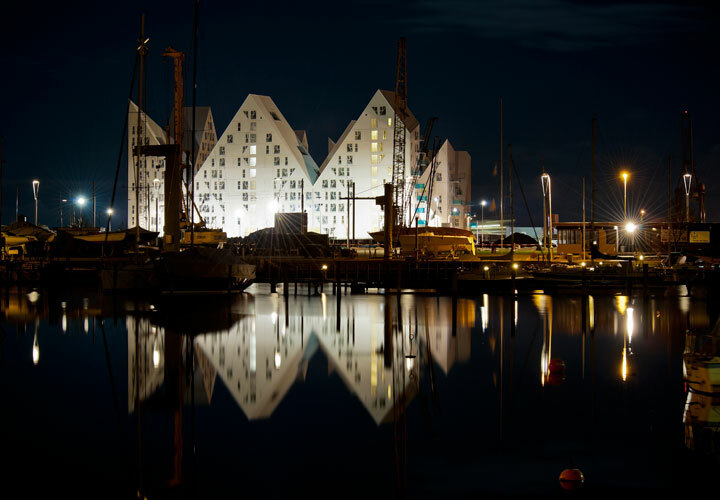 The roofs rise and fall into peaks and valleys, which create visual passages that allow views across the individual volumes – like floating icebergs that constantly refract one’s gaze. 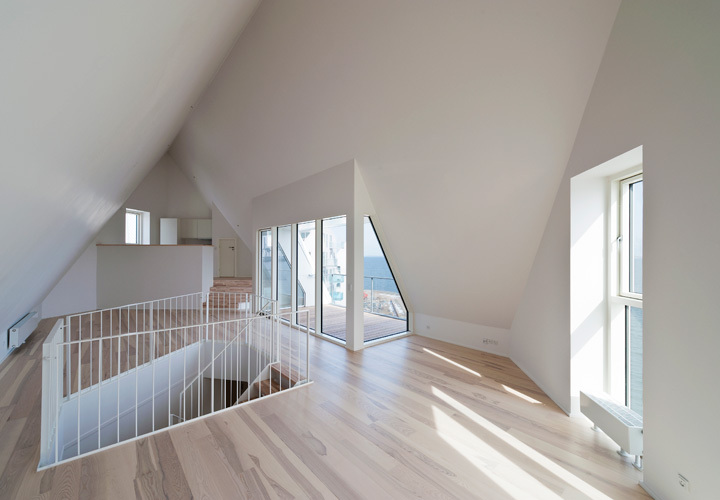 Thus, even the apartments in the back wing can enjoy the view. 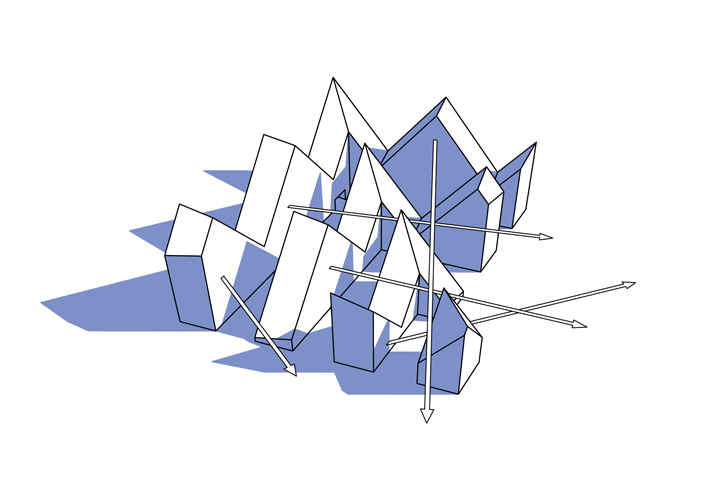 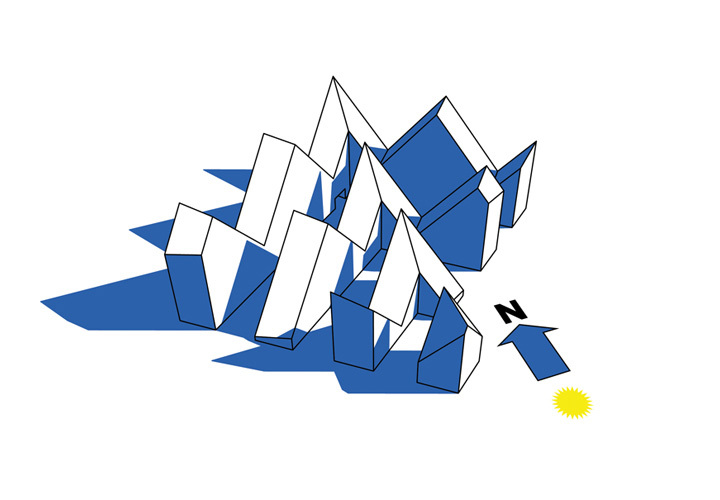 By applying this simple algorithm to the design the spectacular iceberg structure emerged. 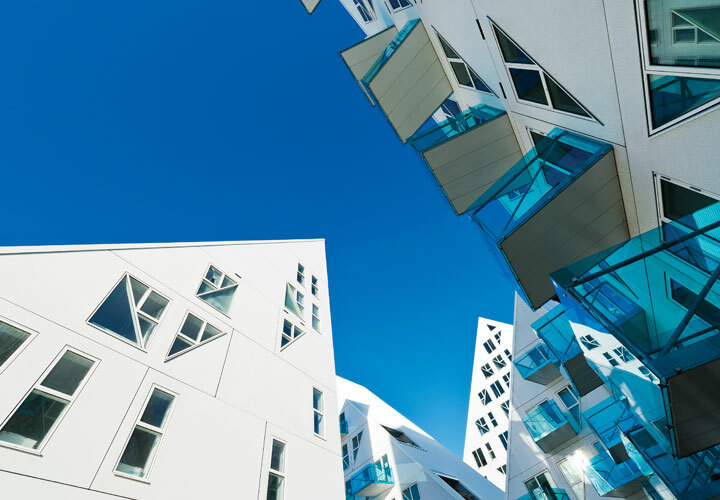 The varying building volumes make it possible to arrange a wide range of different apartment types within the complex – from two-storey ‘town houses’ and affordable smaller apartments to exclusive penthouses in the peaks of The Iceberg. 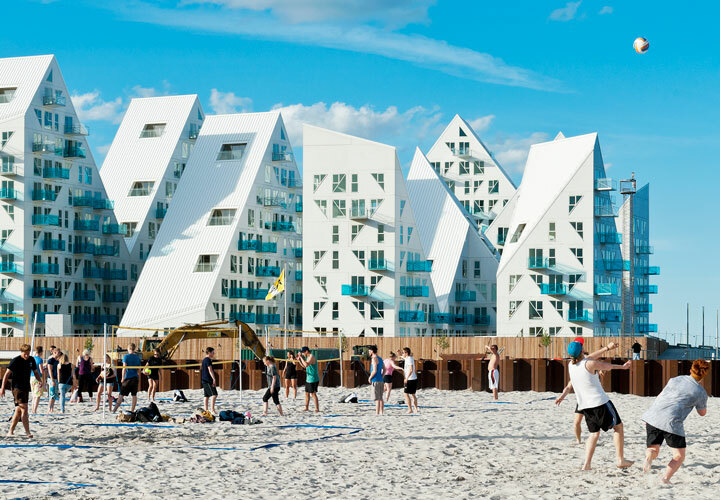 The variety of residences with different balconies, shapes and orientations as well as the combination of owner-occupied and rented flats aim at creating socially diverse urban surroundings that form a lively local community: The building complex becomes a neighbourhood instead of a mere series of housing blocks.